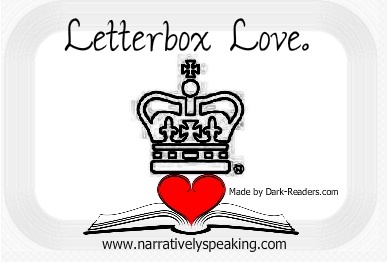 Welcome to Letterbox Love, this is a UK meme, hosted by the lovely Lynsey at Narratively Speaking and inspired by The Story Sirens In My Mailbox, where we highlight the books we got in the post and beyond!! Just a quick post this week as at the time this goes live I am driving up to be fed and watered at a very nice hotel with one of my best friends! She’s getting married there next year and of course we have to try the food prior to the wedding!! These were all sent by the lovely people at MacMillan, thank you!! This was purchased using my amazing gift vouchers from my birthday a few weeks ago, in all hoensty I was a bit miffed about how long it too to get here but it was bought from the marketplace so its not surprising. Thanks all this week! I hope you have an awesome Sunday!! Debutantes looks really interesting, I hope you like them all. I’ve been curious about Abandon for a while – looking forward to your review! I’m so excited about Rage Within! I hope you enjoy it. Rage Within and Debutantes are really good. Enjoy! Ooh! Interesting bunch of books 🙂 I’m really curious to read Lost at Sea and I adore Meg Cabot!